This book is a primer on critical thinking. Without it, the Internet is only a misinformation highway. The dark arts of untruthfulness are ubiquitous in ‘official’ information. 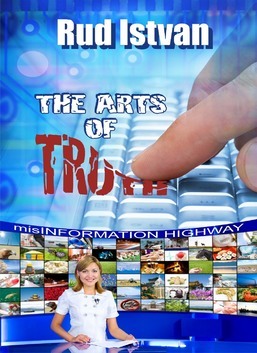 The general techniques used to distort or misrepresent truth are conceptually explored, illustrated by dozens of examples covering a wide range of subjects. Does classroom size reduction improve education? Can tight oil shale provide US petroleum independence? Are eggs unhealthy? Does the Chevy Volt really get 60mpg-e? Is global warming a hoax or a crisis? The many thought provoking examples are entertaining as well as enlightening.